Happy Monday, everyone! Just nine days later, I’m ready to show you my second wedding of the year! I would have been able to pump this one out sooner but I actually came down with the flu the day after this wedding and on Mother’s Day. Whomp. Whomp. I started to feel “off” at this reception and feared I was getting ill. I told Kari to stay far away from me just in case (being pregnant and all). 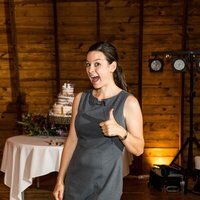 My kids and husband had already had it and I was SO nervous I’d end up sicker than a dog at this wedding. Nevertheless, it was all meant to be because I felt great all day! I just wasn’t able to edit and complete it in a week afterward (which is usually my average for a one wedding weekend). Can’t win them all though, right?! So, enough about that! 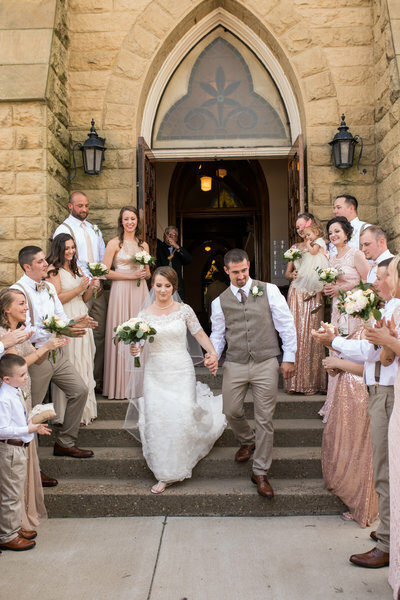 I’m ready to ramble about the amazingness that was Caitlin and Trey’s wedding day. It was amazing because it was beautiful. It was amazing because we were able to make magical moments during a thunderstorm (no kidding). It was amazing because there is just so much to tell and so many memories were made and I couldn’t be happier for these two! I’m not even going to give you the “hide from your kids while you read this” speech. I pretty much think all my blogs will be long from here on out. You have been warned! So, sit back and relax and enjoy! Caitlin and Trey are now Mr. & Mrs. Griffith! The day started out beautiful. SO BEAUTIFUL. It was sunny with some puffy, beautiful, white clouds. The temperature was perfect! We knew rain and thunderstorms were in the forecast and they had made the executive decision the night before to pull the outdoor ceremony inside. I was prepared. I was hoping we’d be able to fit SOME outdoor photos in one way or another. It did happen! You’ll see! It just didn’t happen exactly (or even close) to how I had planned! Let’s talk about the details of this wedding first. 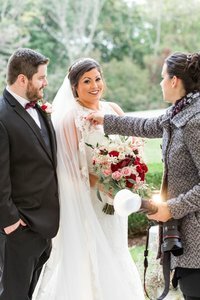 Caitlin put a Japanese themed twist on her wedding! 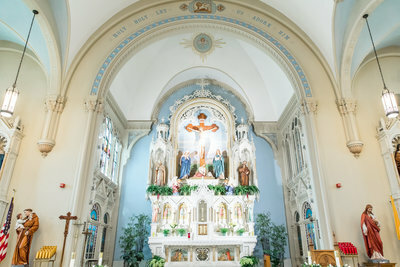 The detail shots for this wedding were TO DIE FOR! Check them out! …and when you’re digging through the bag of the bride’s details and find these, you photograph them too! HA! Hey! The colors complimented one another! Right?! Goodness. The Nemacolin Country Club in Beallsville, PA is BEAUTIFUL! I don’t think I’ve seen a blue ceiling like that! Check out her drink menu too! Kari and I ran up and down the stairs while the bride was getting ready. We weren’t permitted in the men’s locker room so we didn’t catch any of those moments. We’ve learned to multitask like you wouldn’t believe though! Originally, we had a timeline mapped out that did not include a first look. Well, the forecast was grim, so we talked out all the options and decided to switch everything around for a first look. I’ll be honest. I usually look calm, cool, and collected when I’m having these conversations with the couples but I guarantee I had my “nervous hands” up. I have photos of it. Sometime (maybe at the end of year blogs), I’ll show you my “nervous hands”. It’s when I’m thinking in my head what would be best from a photographer stand point but I’m stressed. I want my couple to have everything they’ve dreamed of but I also need the weather to cooperate! Lucky for me, Caitlin and Trey are so laid back. I could tell that memories were more important to them than a pre-planned timeline. The forecast was showing rain/thunderstorms starting around 4:00-5:00 PM. We planned for a first look at 2:30-3:00 PM. GOBS of time, right?! One would think! Kari, at one point, said, “Ok. I can tell you’re stressed.”…and laughed at me! SHE LAUGHED AT ME! I did need that comment though. It made me giggle too and take a moment to realize there was nothing I could do to control the weather but I could control the timeline! Now, get ready for a WHOLE lot of black and white! As we were multitasking, we were handing out gifts. First, we gave Trey the gift Caitlin got him. I feel so honored in these moments. We’re the only ones who get to see this and if it wasn’t for the photos we take, no one would be able to experience the moment. The amazing thing about Caitlin and Trey is that they know each other…well. They love each other in a way one can’t describe. Trey had apparently been talking about this watch for some time. Caitlin bought it for him as a wedding gift. 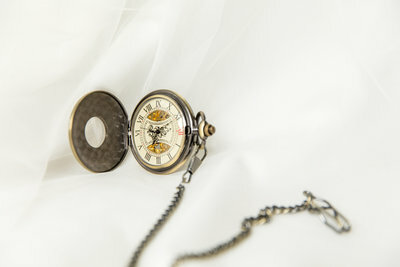 AND when she called him to tell him they were going to do a first look she said, “And Hannah needs to give you the watch I bought you!”….Bahahahahahaha! Whoops! It was too funny! But seriously, LOOK how excited he was to get it even though he knew what it was! These are the moments that are very special to me. Genuine. REAL moments. Unforgettable moments. Then, it was time for Caitlin to open hers. I am definitely an opportunist at weddings. The hair stylist took a moment to discuss something and walked away. Because we were trying to beat the rain, I gave Caitlin her gift. She got lots of things including hubby and wifey mugs, a necklace, and a Pokemon bag/purse. She was most excited about the Pokemon bag, I think, which brings me back to how amazing these two are and how they know each other SO WELL! 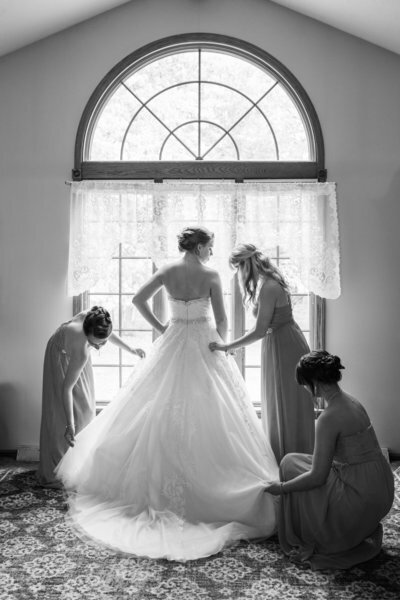 Then, it was time for the beautiful bride to get ready and mom choked up unexpectedly! A note about Caitlin and Trey’s mothers. I know I mentioned it in the sneak peek on Facebook, but these women have secrets. They need to bottle and sell whatever they’ve been doing while raising children because I can only hope to look half as amazing as they both did when my children get married! 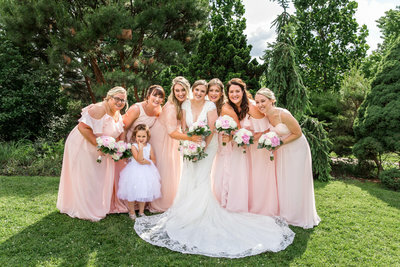 I honestly wasn’t sure if they were bridesmaids when we first arrived while they were getting ready and that seemed so ridiculous that I was afraid to ask! HA! So, we went and did the first look! AND IT WAS AMAZING! Check out the bottom middle photo. Trey’s reaction was priceless! I tried not to listen (but I couldn’t help it). The words exchanged were heart warming. I won’t tell their secrets because it isn’t my place but my heart wanted to jump out of my chest. After some time, Kari and I stepped back so they could have some private moments. I probably had my “nervous hands” up again becasue the clouds were creeping up on us! I just can’t help it! HA! We then FLEW into formal photos! They rocked it! We were working so fast! The wind was WHIPPING around us! At one point, I had to tuck Caitlin’s veil under her right armpit because it was moving everywhere! Her dress was doing it too!! Not much dress fluffing was required at this wedding! Mother Nature did her own thing! Trey has swing dancing skills if you recall. 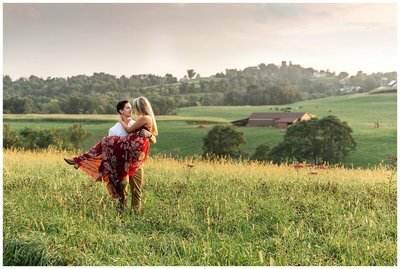 He first showed them off at their engagement session! 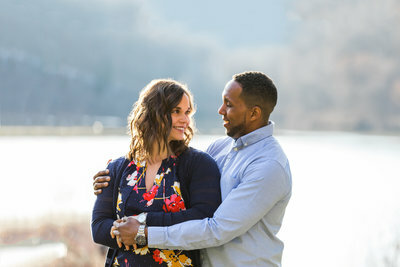 If you missed the engagement session we did in Washington, PA, you need to go back and see it here! They nailed it AGAIN! Check out the tails on his jacket. When I said the wind was whipping, I was not kidding! Again, the amazing thing about Caitlin and Trey and this whole wedding was the memories we made. The weather was being obnoxious. Everything they had planned from an outdoor ceremony to waiting to see each other until that ceremony to driving around on golf carts for formal photos had to be changed. Even when the wind may have forced some brides inside, Caitlin grabbed that veil and just moved with the wind. Honestly, she just flowed. I was hooting, of course, and snap, snap, snapping away like a crazy person until that last photo…when the wind said “Enough!” and ripped the veil right out of her hand! Nonetheless, Caitlin rolled with it! …and when I say roll with it, I’m not kidding. I carry two of these clear umbrellas with me to all weddings. We hurried up and handed her one and instead of making a dash for dry ground, she said, “HEY! Take this photo!”. So, I did! We got wet! I had about $5000 of gear laying around and for a moment I thought, “I wonder if I can get replacements before next weekend?”. Looking back, I probably should have had Kari put it somewhere, but I didn’t want to miss these real moments. I’m happy to report it all survived though!! No insurance claims had to be filed! HA! Meanwhile, this was happening at the clubhouse! Thank goodness for fast shutter speeds and amazing gear and the power of Photoshop (to get rid of the rain drop spots on their tuxes). You can’t even see the rain drops! At this point, I stood under an umbrella in the rain and thunderstorm and took family formals and bridal party formals at the gazebo. Gotta do what you gotta do right?! Caitlin kept saying some curse words and apologizing and all I could say was, “Girl…keep them coming. You’re just saying exactly what I’m thinking and what I can’t say for professionalism’s sake.”. We all had some great laughs! Did I mention she hates thunderstorms? She’s a trooper! So, we finally knew it was time to head inside. The weather was getting worse. The clouds were literally pushing us inside. 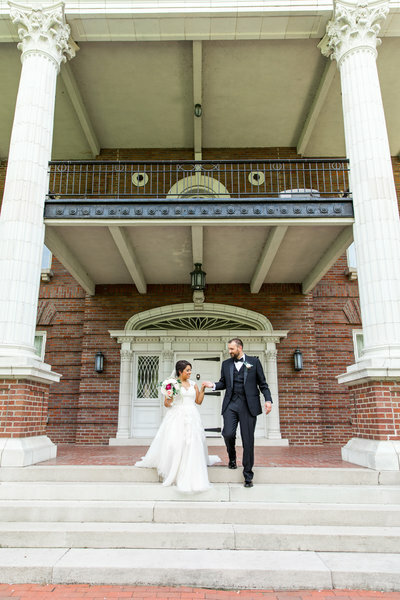 So, Kari and I flew around the reception hall to get these detail shots because guests were filing into the hall and that’s exactly where the ceremony was going to be held! Look how PRETTY! My heart was racing at this point! 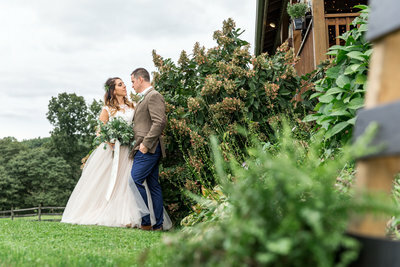 My couples chose AMAZING springtime, color palettes this year! Here’s another funny moment. I’m a FIRM believer in not using flash during the ceremony. It is just too distracting, in my opinion, and takes away from the ceremony that is unfolding. Well, Caitlin had placed disposable cameras on the tables for the reception. At one point, someone took a photo and it flashed and I shot Kari a look! She, of course, wasn’t paying attention but I had a moment where I thought she decided to add a flash! HA! She was off the hook though and I knew she’d never do that!! I seriously know better anyway! I did have to giggle though! Weeeeeeeeeee!! I seriously could NOT take enough detail shots! Get ready! You’re about to see some powerful images. If I haven’t said it enough in other places, this girl has features to die for! I knew I was going to photograph them like crazy! Check out this stunning black and white image! …and a color version becaue of her lipstick, of course! This is what I love about her! Here I am taking seriously remarkable photos of a beautiful bride and she looks up and gives me a funny face! Of course, I busted out laughing! AND now I’m blogging it! She knew it was going to happen! HA! I love for people to see the real moments that happen at weddings! It not just pretty photos…it’s smiles and laughs and memories too! Then, it was game time! Many people ask if couples still get emotional when they do first looks. The answer is YES! Actually, most of my couples who do first looks get MORE emotional during the ceremony than the couples who waited. I’m not sure if that’s just a coincidence or has something to do with those nerves being gone a bit. I’ll keep you posted in a few years! One of my favorite moments during any ceremony is when the bride is handed off to the groom. I had a GREAT angle this wedding too so I thought I’d share! It was short and sweet and they did a tea ceremony and I loved it all! What I loved even more was when Caitlin got so emotional she couldn’t control it! You’ll never be able to replace these moments! Gosh. It was really something to witness and experience! Then, we did some more formal photos inside after the ceremony. I redid a few family ones too because I was concerned about the hair vs. wind factor from the outside shots we did. Then, they were announced as husband and wife. They did some other mandatory wedding things and then speeches started…and Caitlin was still getting emotional!! I’ll be honest, I didn’t expect her to get this way so it was extra special to photograph the whole thing! ANDDDDDDDDDD then it was party time! We got to meet Becky and Amber of JL Entertainment (links at the bottom). I’ve never worked with a female DJ let alone two! It was so fun. Two photographers. Two DJs. It was awesome! They were a hoot AND they were busting moves behind their table. I bust moves at the edge of the dance floor (guests always comment how funny it is to see the photographer dance…I can’t help it though!). This reception gave me all kinds of life goals! It was another one where age did NOT matter. The song genres didn’t matter either apparently and that was definitely something new! Both grandmas were out there doing the Cha Cha Slide. Trey’s grandma also got out there to learn the wobble. It was AMAZING! She was learning all the moves and moves I don’t even know! The guests were legitimately enjoying themselves and the dance floor was packed! I’m going to be that grandma one day! Mark my words! Look at this lady dream team!! If you need amazing DJs, call Becky! Ironically, Becky lives a block from Kari. Literally…a block! It’s a small world after allllll! Sing it! One more dance floor collage because it was such a great party! Even after we left at 10:00 PM, they decided to extend the paty an hour! They were all crazy fun, I tell ya! So, that’s a wrap on the second HBP wedding of the year! 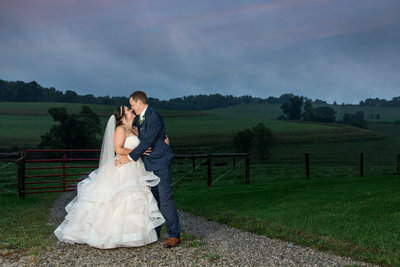 It was so fun shooting my first wedding at the Nemacolin Country Club! I hope to go back! 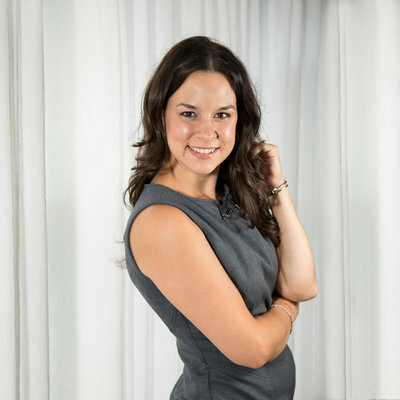 Gina, their coordinator, was amazing! If you need a venue, they’re hoping to do more weddings! Check them out! These two love birds will be honeymooning mid June at Hilton Head Island in South Carolina! I hope they have a marvelosu time! Per the usual, I MUST give credit where credit is due!! This wedding simply would not have been possible without these amazing vendors!! Use the links provided for more information! 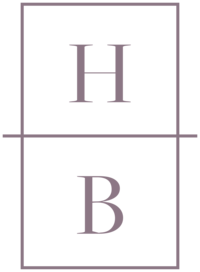 Jewelry/Rings – Amazon <– The Prime member in me LOVES this!